Rapid prototyping is simply using a CNC machine to come up with the working model of a part. The model that you ought to come up with here is dependent on your prowess in using the CAD program. The traditional rapid prototype machining methods, otherwise known as layered fabrication or free form fabrication, is one of the simplest. It doesn’t make use of any special tooling or engineering processes. This, in the long run, reduces the time and cost in giving us the end product. Definitely, the best choice when cost is of concern. Just as the name suggests, rapid prototyping is all about getting a finished part with the least turnaround time. All this is however dependent on the size and scaling of the 3D image in concern. The process simply entails using a laser beam. This beam’s heat fuses together small particles of plastic, ceramic or glass to come up with a solid 3D object. Like all methods of 3D printing, this one too does start with a CAD model that is then converted to STL format first before it is printed. The laser heats the powder to just below boiling point or slightly above it so as to fuse the particles. Upon forming the initial layer, the platform of the SLS machine drops by less than 0.1mm which exposes a new layer of powder to trace and fuse together. This continues till the object has been printed. Accuracy, quality, aesthetics, and detail simply define what you expect from Stereolithography which is otherwise known as SLA or SL in short. What does it take to transform a CAD to STL? The only difference between Stereolithography and SLS printing is that the latter uses the liquid UV-sensitive liquid resin and is much faster. This makes it one of the widely used Rapid Prototyping techniques. The CAD (digital representations of the real models) are designed by engineers. With these, ideas are transformed into models that can be digitally put to test. When it comes to stereolithography, the CAD files have to be transformed to the STL file format. This is the most common language used in stereolithography and most of the other processes used in additive manufacturing. SLA machines have got four major parts. A tank that is filled with the photopolymer, the UV laser that hits the photopolymer, a perforated platform upon which the photopolymer is exposed and obviously a computer controlling the whole process. Casting Preparation-Lubrication of the casting mold is done so as to maintain the temperature of the injected metal and simplify removal of the cast. The mold structure is positioned in the pressure chamber. The lid to the chamber is secured tightly after which a compressor hose is connected to an air vent on the pressure chamber. Upon turning on the compressor, the mold and resin are exposed to 60psi till the resin turns into the gel. It is important that the air going into the pressure chamber be dry. Moist air will react with urethane resins and rubber hence result in foaming which keeps you in a loop. With pressure casting, you can get metal castings with the best properties mechanically. The surface finish is the best and there is close dimensional accuracy. The model has to be able to open and close. This means that there is limited casting geometry. Since the setup is costly, this is best suited for large-scale manufacturing rather than small scale production. In simple terms, a CNC machine is an electro-mechanical apparatus that is used to manipulate machine shop tools with the aid of a computer program. Being one of the most common 3D printing technologies, it is widely adopted in most manufacturing industries. First of all, it’s important to know what the term machining means. This is the process via which a raw piece of material such as a block of plastic is gradually transformed so as to come up with a finished product. The process is made possible via controlled material removal. To get the desired outcome, there are a number of tools used in the machining process. This is where engineering prowess comes in since in some cases, we may need drill bits of different sizes to get the job done. In CNC machining, a CAD drawing is created then a code that can be understood by the CNC is generated. The program is loaded and tested to ensure there are no glitches since a mistake in speed and tool position could give you a scrapped part. CNC machining is credited for its precision and recurrence of the same output. The downside of this is that it demands more skill on mathematics, industrial arts, mechanical drafting and obviously computer prowess, CNC machining is one common rapid prototype machining methods now. These include drills, lathes and milling machines. These include chemical/electrical machining. An example of these is Electrical Discharge Machining and Photochemical machining. 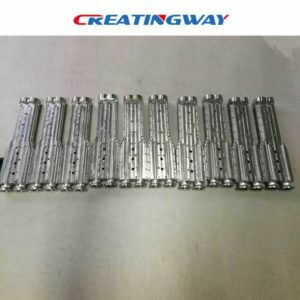 Most of the novel technologies are used in mass production and are specific to a given material. As compared to manual machining, the process is more precise. Other than this, a single model can be printed out more than once without any deviation between the first and the last printed model. The precision of CNC machining services allows for the production of complex shapes much faster which would not be the case in manual machining. Another advantage is that any material can be used depending on the application. Most of the materials used include polypropene, wood, brass, copper, titanium, steel, and fiberglass, welcome visit our metal sheet guide in details. Both CNC Machining and Rapid Prototype Machining Methods have their merits. When it comes to industrial usage, however, CNC machining is way better. Unlike 3D prototyping, it checks on cost, time and the volume of production in which case the volume is high. 3D prototyping is diverse and you can employ different methods of the same and would require very little engineering knowledge. If cost is not a limiting factor, then this is the best choice to go for.